We love making mug cakes at my house because all you need is a microwave and a dream. And you know what? I have both. 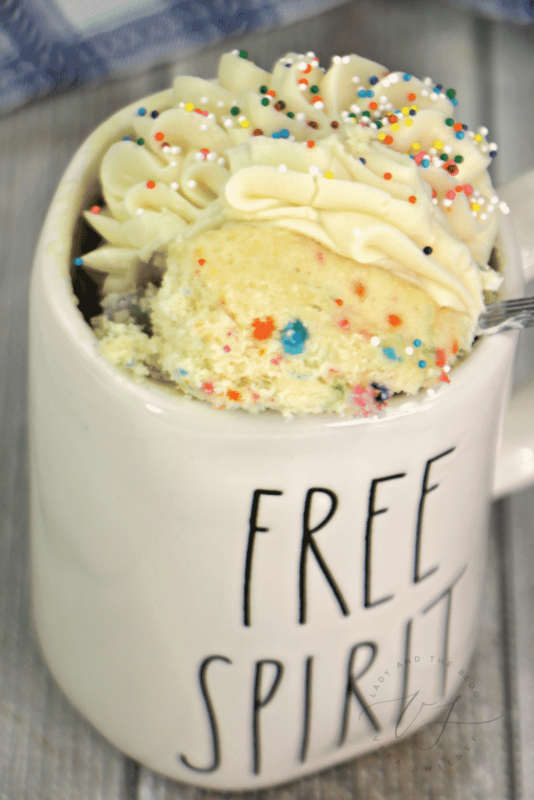 This microwave mug cake recipe can be altered to suit whatever craving you have and is ready in under 2 min. Read my instructions below and then swap out bright sprinkles for chocolate chip cookies if that is what you prefer. The choices are endless. 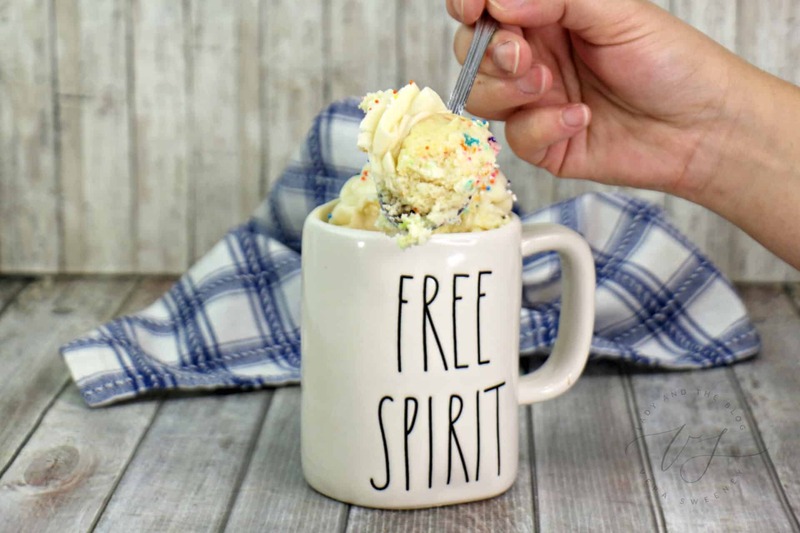 Mug cake recipes WORK because if it’s just you sitting at home watching a movie, you can whip up a serving for one in NO TIME and I just love that. It’s about portion control, but it’s also about the dishes and WAIT TIME. There is not oven requirements. You literally stand in front of the microwave impatiently for about 2 minutes or so and then you EAT. Are you with me on this? I mean – I like a decadent dessert. I love a rich and creamy piece of cake or a fruity and fresh pie that comes out of the oven piping hot. Don’t get me wrong. 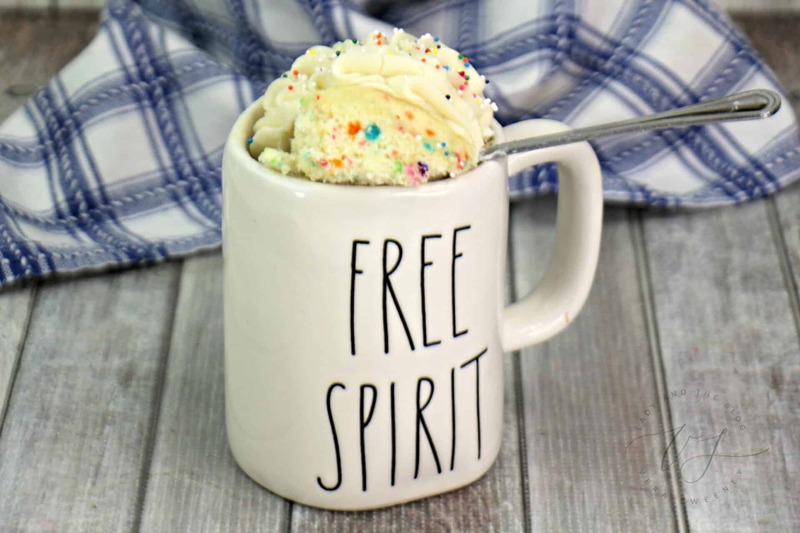 But I also love instant gratification and this easy mug cake recipe is more about instant gratification than anything else. When you want something sweet and you don’t want to wait… find this recipe online. 🙂 Bookmark it! In a small bowl, mix all ingredients until combined. Pour all of your ingredients into a 12oz microwave safe mug. Microwave on high for 2 minutes. Depending on how old your microwave is, you might need to put it in for another 30 seconds or so. Let cool for 1 minute. 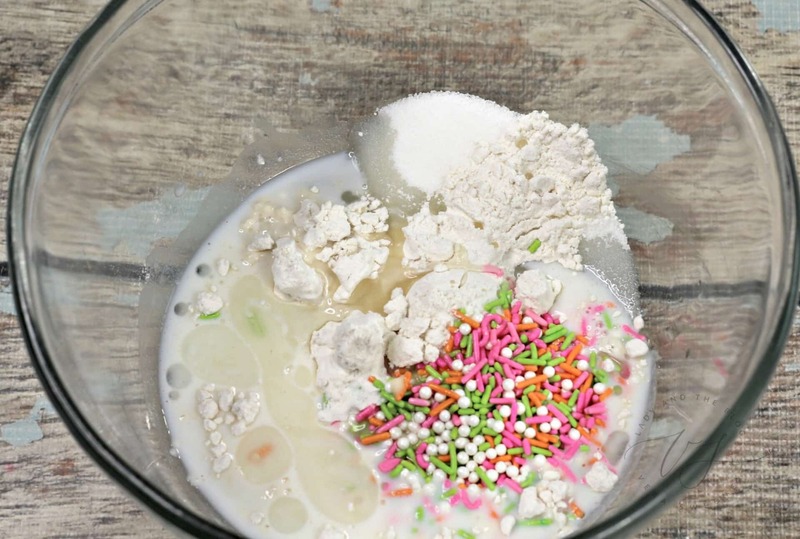 Top with your favorite frosting and sprinkles. Enjoy! What a great way to satisfy your sweet tooth! 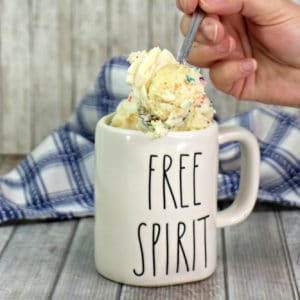 What Are Some Other Ingredients I Can Add To My Mug Cake Recipe? By playing with different combinations of flavors, you can create a wide variety of cake ideas. From coffee cakes to brownies to Oreo surprises! Have you tried to make a microwave mug cake recipe before? We LOVE THEM! Super fun. Super fast! Super YUMMY. What more can you ask for in a dessert? In fact, writing this post has made me want to do this AGAIN right now. LOL. If you want another recipe idea to make in your microwave, click here.